In keeping with my recent thoughts about accomplishments… here is a huge one! It was not on my list of things I wanted to do over the summer. It was a very last minute decision, which was probably a good thing! 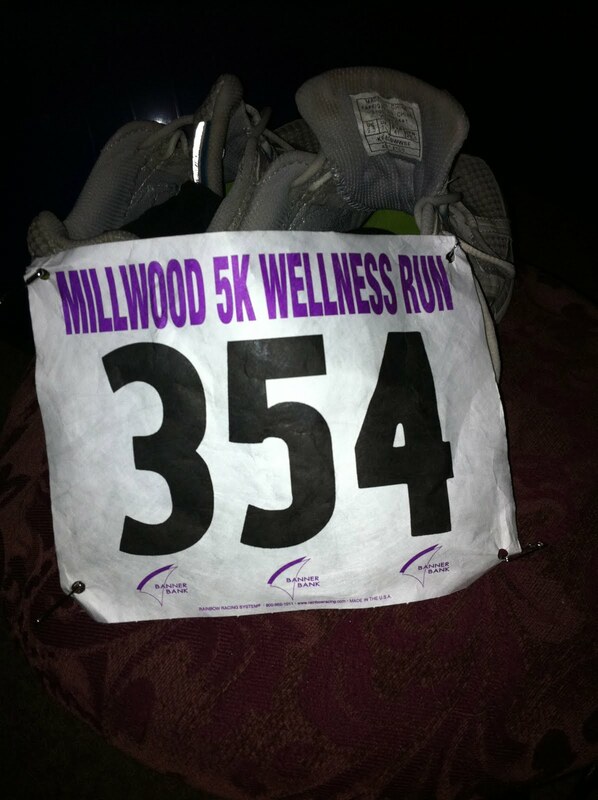 I walked a 5K! It took forever to get to mile one! Mile two loomed very far out, but then it was all down hill (figuratively speaking!) after that! We also walked to the church where it started and then home again. All in all, we probably walked closer to 4 miles! Today I am sore, but feel great! This little adventure yesterday was just what I needed to move me forward on my Fit By 50 project! It not only felt good to walk, but it was going for a good cause – Alzheimer’s research. Next year I will run it! I often do things that were not on my planned list – more spontaneous in nature. For me, it’s those times that I feel the greatest sense of accomplishment. Not only was it something I did or finished, but it was not expected. I liken it to the joy of receiving an unexpected gift, or visit from a friend, or last minute get away! There was not build up and hoped for expectations, just the sheer joy of something unexpected! I know we can’t live life that way and things do have to be planned, but it’s those unplanned accomplishments that seem to bring me the most satisfaction. Maybe that stems from years of New Year’s Resolutions that were never met! Often times I failed before I even started because they were not realistic to begin with!